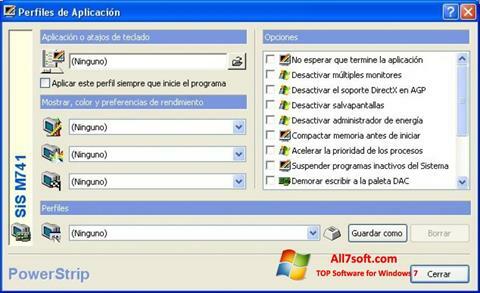 PowerStrip for Windows 7 - An application to configure the monitor settings at the hardware level. The utility supports an extensive list of video adapters from different manufacturers, allows you to change the values of color, geometry, flicker frequency and screen sweep, configure the parameters of the video memory and the core used by the video card. The program includes a step-by-step wizard and a detailed guide, supports the use of hot keys and is able to quickly reset all the changes made. The utility does not consume a lot of RAM and is able to work in the background. You can free download PowerStrip official latest version for Windows 7 in English.